P5129, China Modern Silver Ingot (Sycee) 1 oz, Nanjing Mint, 2017. XF condition, please refer the picture. Minted by China offical "Nanjing Mint". 1 oz silver ingot. P5130, China Silver Bar 8 grams "Spring Bamboo for Safety", China Gold Coin Incorporation 2017. XF condition, please refer the picture. 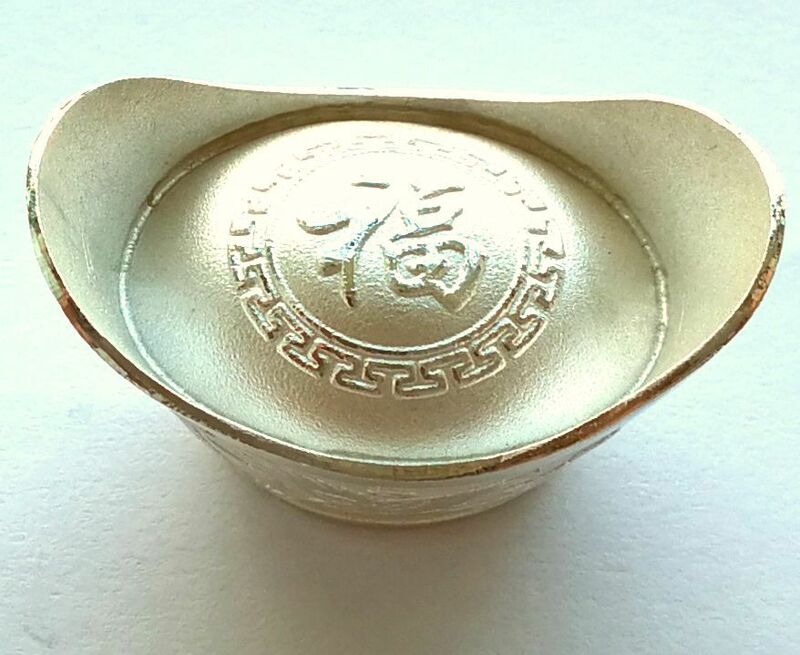 Minted by China official "China Gold Coin Incorporation" (CGCI). P5131, China Modern Silver Ingot (Sycee) 8 grams, Shaoxing Mint, 2017. XF condition, please refer the picture. 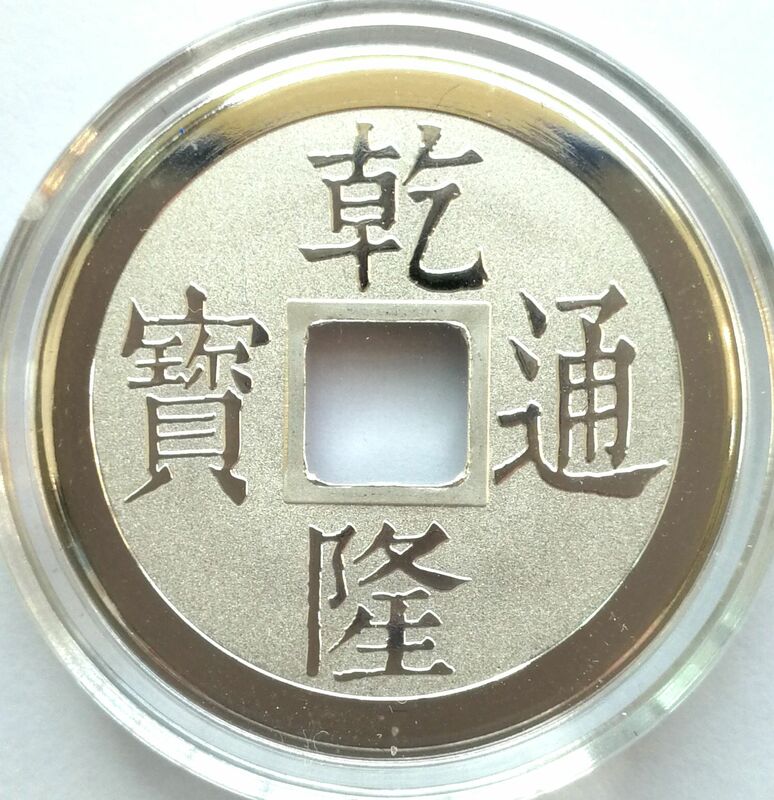 Minted by China "Shaoxing Mint". 8 grams silver ingot, 99.9% pure silver. 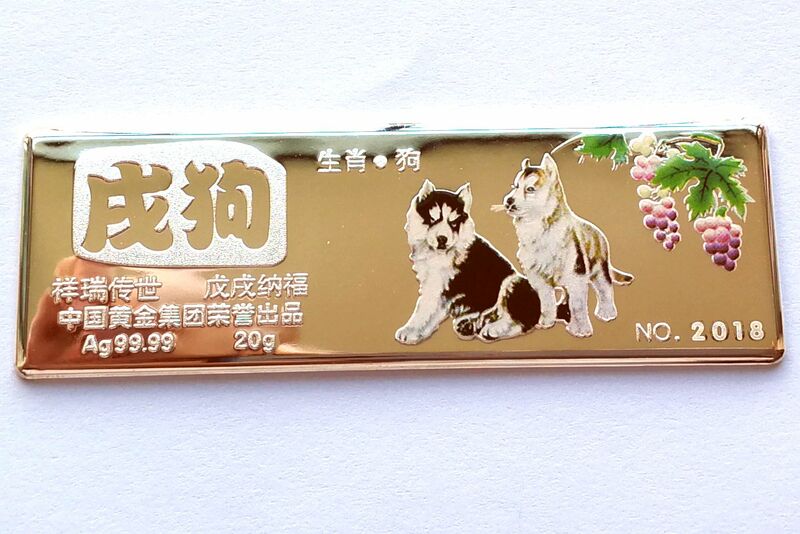 P5132, China Silver Bar 20 grams "Year of Dog", China Gold Coin Incorporation 2018. UNC condition, please refer the picture. 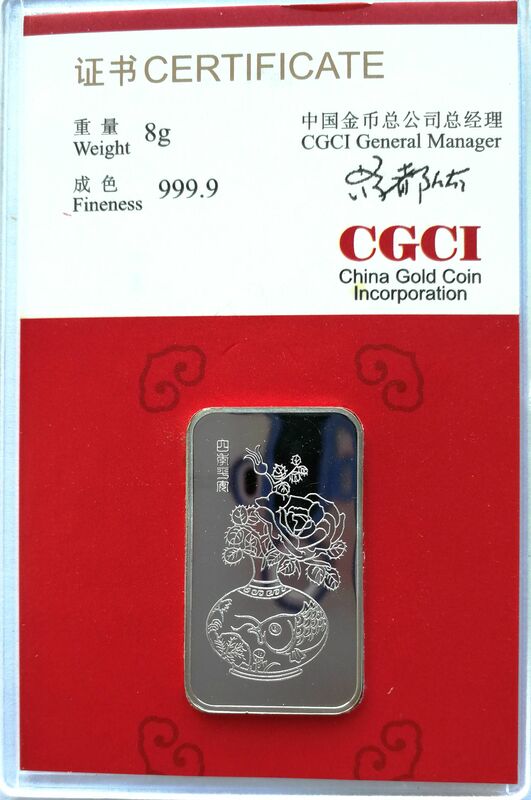 Minted by China offical "China Gold Coin Incorporation" (CGCI).